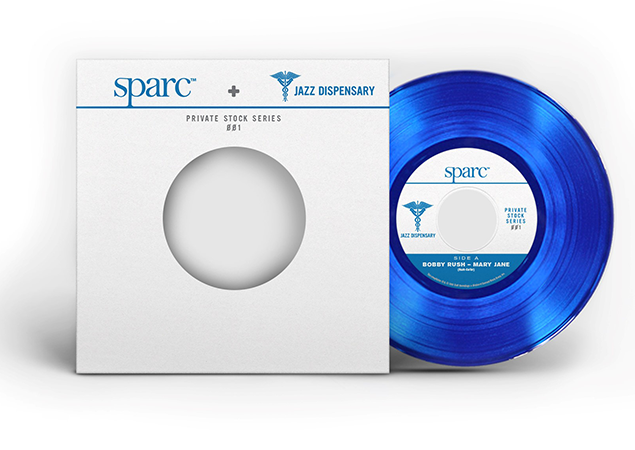 The cannabis company SPARC gets an early start on Record Store Day by teaming with the label Jazz Dispensary to release the first single of the pair’s Private Stock Series of vinyl releases. The single features “Mary Jane” by Bobby Rush on side A and “Fire Eater” by Rusty Bryant on side B, both first released in 1971 and both inspired by cannabis. The vinyl is limited to 500 copies and will only be available on Friday, April 20, at SPARC’s four dispensary locations, including both Sonoma County stores, 1061 N. Dutton Ave., Santa Rosa (707.843.3227) and 6771 Sebastopol Ave., Sebastopol (707.823.4206).